Moonchild Yoga Wear will be joining the OM Yoga Show 2018 in London on 19, 20, 21 October in Alexandra Palace. When visitors want to take a break from practicing yoga, they can take advantage of the showcase of over 200 exhibitors, who will be on hand to provide a fantastic range of yoga accessories, clothing, jewellery, super food, retreats and much more. "We are excited to be joining the OM Yoga Show in London and visit what feels like my second home." explains Louise Wang Nielsen, Founder & Creative Director of Moonchild. "Me and my family lived for 2 years in London and my youngest son was born here so there are a lot of great memories" says Louise. Moonchild will be at stand F4 and showcasing their latest collection as well as their signature styles. 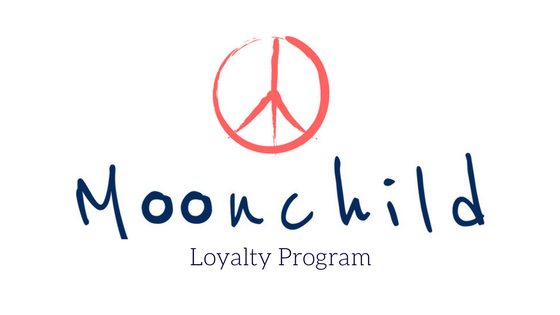 There will be plenty of chances to try, feel and shop everything Moonchild - from the soft seamless leggings and tops to the beautiful printed leggings inspired by the colors and lights of the scandinavian nature. So if you are heading to London for the weekend make sure to visit OM Yoga Show and Moonchild Yoga Wear!